I’ve always been one of those moms who coordinates her kids’ outfits. I love putting my boys all in plaid button downs or blazers. But I’ve never done any coordinating with them myself. Well this officially ends that! 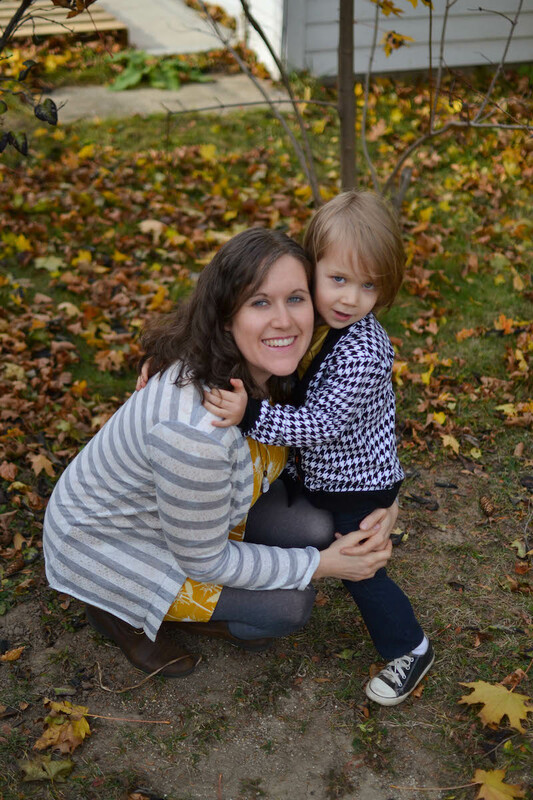 Enter Stacey at Boy, Oh Boy, Oh Boy Crafts and her super fun Match With Me series – all about making coordinating outfits for mamas and their sons! I decided pretty early on that I wanted to sew outfits with a coordinating color palette. And I am in loooove with how it turned out! 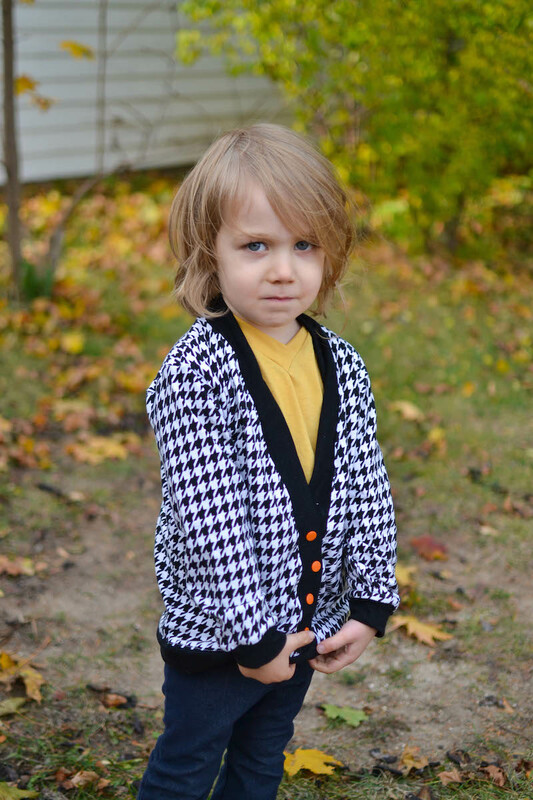 My three-year-old and I each got a cardigan, plus a shirt for him and a knit dress for me. 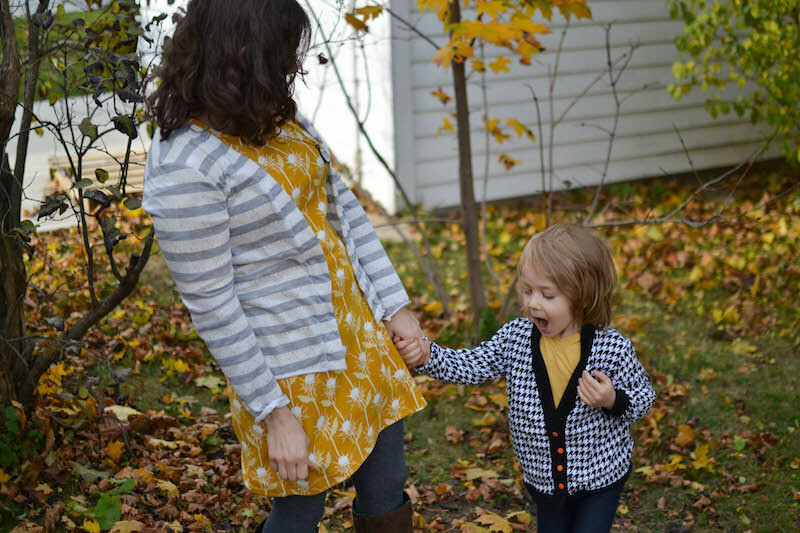 Here are some outfit details for me: Cambridge Cardigan from Peek-a-boo Patterns (affiliate link) in a lacey stripe knit from JoAnn’s. I let the ends of the knit curl, rather than adding the cuffs to the sleeves and the body. 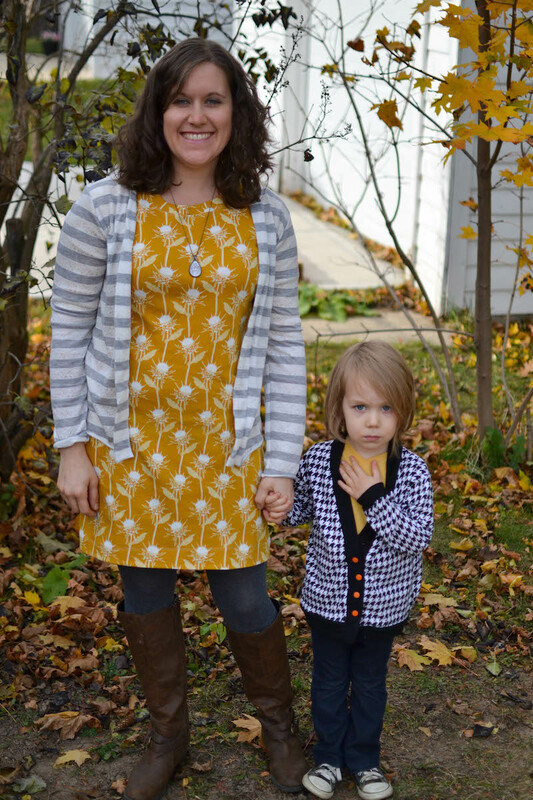 With this dress, though, I wish I had made the cardigan longer. But it will be a good length for wearing with jeans. This dress… Sigh. Oh, THIS DRESS. I love it so, so much. It’s made out of this absolutely amazing Anna Maria Horner knit that I bought from a local shop, Bungalow Quilting and Yarn. 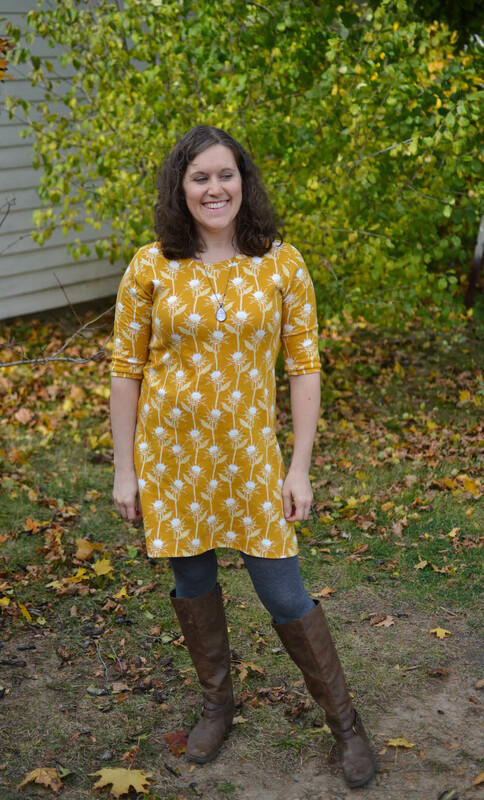 I used the Union St. Tee pattern from Hey June and lengthened it to make a dress. I want to live in this dress. 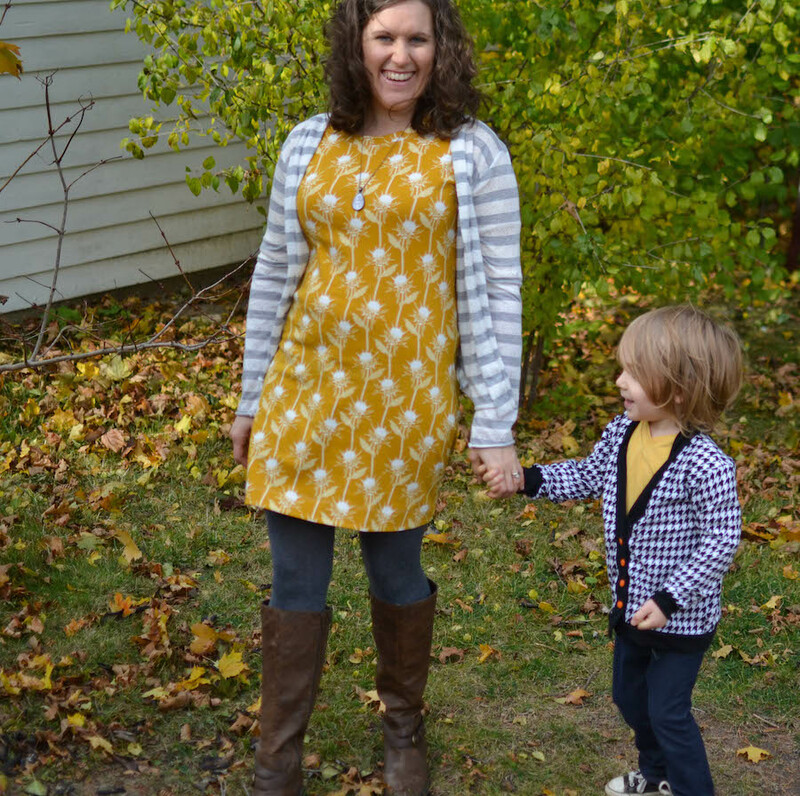 The details on my little guy’s look: a simple mustard knit Vintage V-Neck from Blank Slate Patterns (affiliate link), which is always a good choice. Matching with mama is so fun! 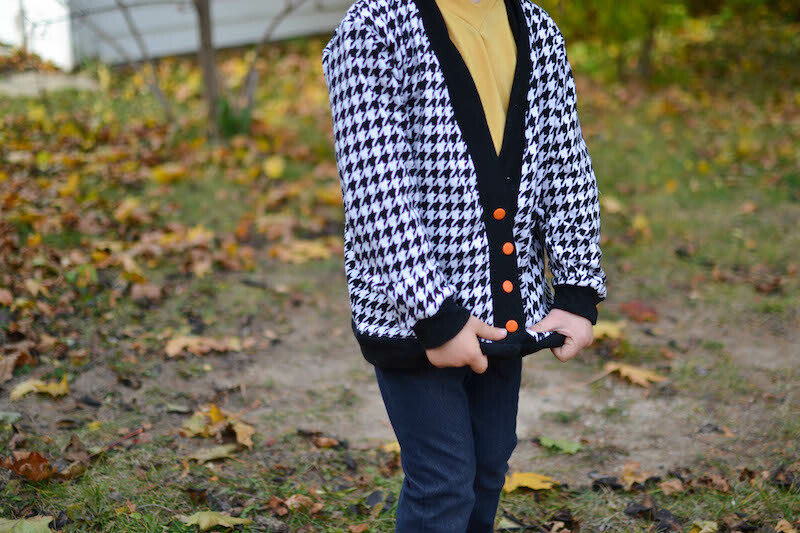 Head over to Boy, Oh Boy, Oh Boy Crafts and see the rest of the mama-son outfits! Previous postSuper Saturday! Win $50 in fabric and patterns! This is post is so precious. I love your me-made outfit! The palette and the comfortable style is very you! Oh, how I love this post. 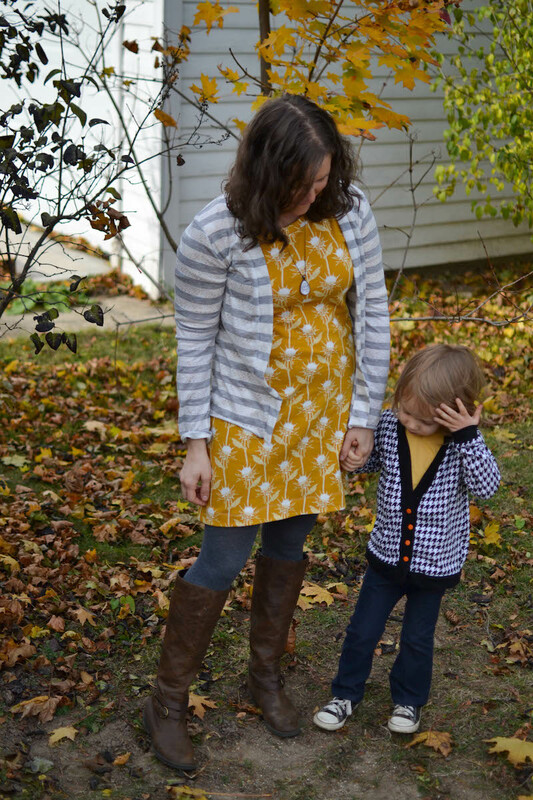 First, mustard and grey is one of my all time favorite color combos and that AMH knit fabric is just fabulous. I seriously need to get my hands on some of that. Secondly, how smart are you for thinking to lengthen the Union Street Tee pattern? 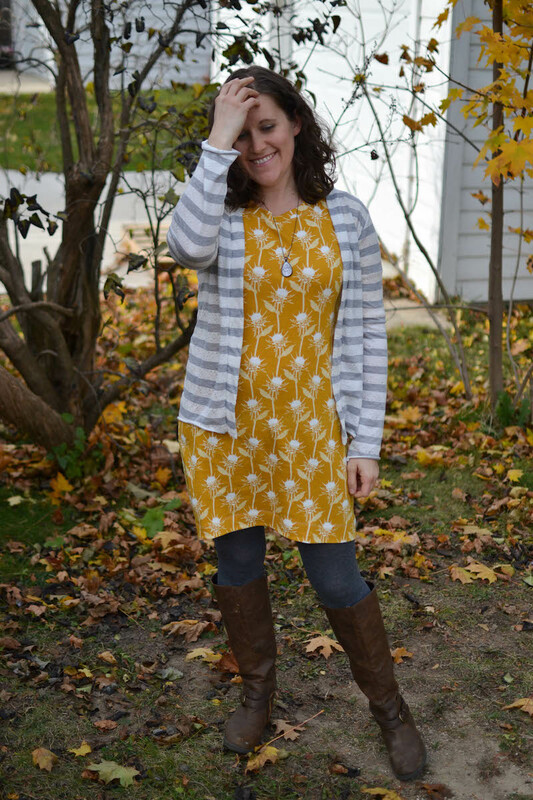 The dress looks so adorable on you and must be SO very comfy! Lovely job! love love love you two! you are so adorable! love the patterns & colors! This is amazing! Love the color scheme and the styling. I know this is a post about sewing but…his hair!? So so adorable. Gorgeous colour palette and outfits. You both look amazing. so cute!! I love it all!! Love the dress and cardigan. You and your little one look amazing! This is awesome Jess! Love the color scheme.